Noting that malaria “remains a serious threat” in the Americas that has resurged where efforts against the disease have weakened, health ministers from across the Region today adopted a new plan for malaria elimination over the next four years, urging countries to intensify the fight against the disease. The 55th Directing Council of the Pan American Health Organization (PAHO) approved a plan of action for eliminating malaria and preventing its reintroduction into areas already free of malaria, with intensified efforts focusing on vulnerable populations and occupational groups. The countries asked PAHO’s Director to provide the technical cooperation needed, to coordinate regional efforts, and to help mobilize resources for national and cross-border programs targeting malaria. In the Americas, 21 countries reported 389,390 confirmed cases of malaria and 87 deaths in 2014, a drop of 79 percent from the baseline in the year 2000. 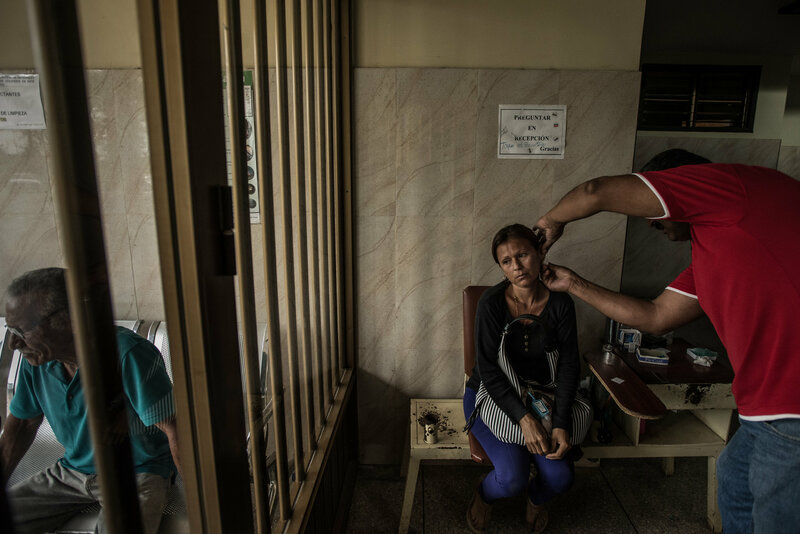 Only two countries, Haiti and Venezuela, continue to report increases in their total number of malaria cases. But more efforts are needed, the plan notes, setting out targets for the next four years of further reducing malaria cases by 40 percent; implementing focused efforts to eliminate malaria in the 21 endemic countries and attain malaria-free status in at least four countries. The plan also envisions innovative approaches to address challenges in malaria control in countries where progress has been limited and outbreaks have occurred, and to prevent the reestablishment of the disease in the 27 countries and territories of the Americas that have been considered malaria-free since the early 1970s. The Amazon basin is a special focus for these efforts. Populations living in areas of the Amazon continue to be at the highest risk of malaria infection. In 2014, the top 20 municipalities with the highest burden of disease in the Amazon basin included 10 municipalities in Brazil, one in Colombia, four in Peru, and five in Venezuela. These account for 44% of the total number of cases in the Region of the Americas. Many of the cases continue to occur among indigenous populations, people living in vulnerable situations, and mobile populations such as miners, migrants and laborers, the plan notes. Some of the key investments in malaria in the Americas include the Amazon Malaria Initiative, which started in 2001 with funding from the US Agency for International Development (USAID); the Global Fund-supported Elimination of Malaria in Mesoamerica and the Island of Hispaniola (EMMIE) Initiative, and country-specific projects, which currently enable control and elimination by covering strategic gaps. Malaria Zero, a consortium to eliminate the disease in Haiti and the Dominican Republic was recently funded by the Bill and Melinda Gates Foundation. Best practices have been documented in 10 countries through the Malaria Champions of the Americas Initiative, a successful mechanism to keep countries at the forefront of creativity and innovation to defeat malaria. The health ministers noted that the Plan of Action is the regional platform to implement the Global Technical Strategy for Malaria (GTS ) leaded by WHO, which envisions a malaria-free world by 2030, and aims to cut malaria burden by 90 percent and eliminate the disease in 35 additional countries. The Directing Council of PAHO brings the Ministers of Health and high-level delegates of the PAHO/WHO member countries together in Washington, D.C. to discuss and analyze health policies, set priorities for PAHO’s technical cooperation programs, and foster collaboration on public health at the regional level.